Sixteen (16) Statements of Interest have been received, and are being reviewed. The next step in the process is a Community Discussion Forum. 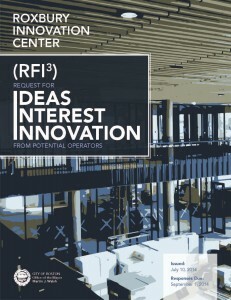 Those that have submitted Statements of Interest to manage and operate the Roxbury Innovation Center will be asked to present brief synopses of their Statements.